The Nigeria Internet Registration Association (NIRA) has elected five new members of the Executive Board of Directors (EBOD) into its fold with two of them emerging as Treasurer and Financial Secretary, reports ITRealms. 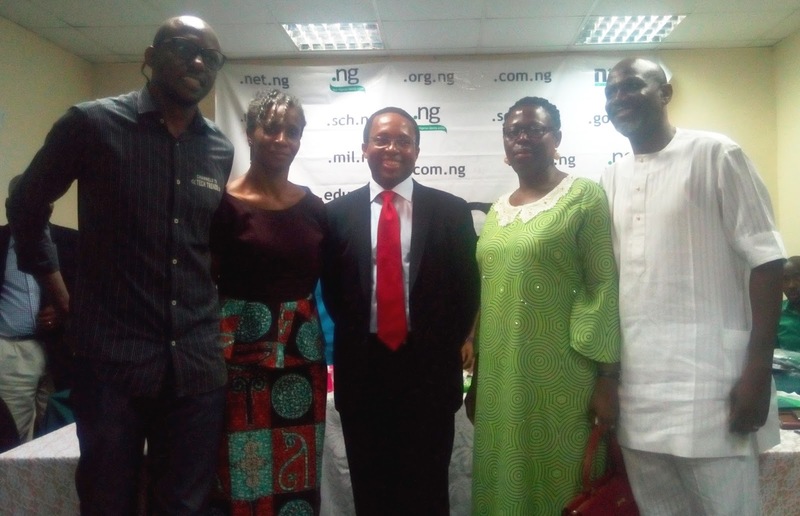 The election which took place, at the 9th Annual General Meeting to receive the 2016 report and accounts in Lagos, saw Dr. Eugene Ohu of Netrob Media, Chukwuemeka Fred Agbata jnr of CFA.ng, Mrs. Nkem Anthonia Nweke of DigitalSENSE Africa, while Mrs. Yetunde Johnson of Slingshot Technologies and Mr. Biyi Oladipo were elected Treasurer and Financial Secretary respectively. ITRealms also reports that the Electoral Committee was drawn from NIRA Patrons and Board of Trustees including Dr. Isaac Odeyemi, Dr. Chris Nwannenna and Mrs. Ibukun Odusote who presided over the committee. At the end of the session, the five members would join NIRA president, Mr. Sunday Folayan, vice president, Mr. Muhammed Rudman, while other members of EBOD include Mr. Ike Nnamani, Mr. Segun Akano, Mr. Sunday Olutayo. ITRealms recalls that NIRA is the registry for .ng Internet Domain Names and maintains the database of names registered in the .ng country code Top Level Domain (ccTLD). NiRA is a self-regulating body and managers of the .ng national resource, and name space in the public interest of Nigeria and global internet communities. Pix; Newly elected board members: Chukwuemeka Fred Agbata jnr of CFA.ng, Mrs. Yetunde Johnson (Treasurer), Dr. Eugene Ohu, Mrs. Nkem Anthonia Nweke, and Mr. Biyi Oladipo (Financial Secretary). Premium neutral data centre in Africa, the Rack Centre, has won for the third year, the annual Beacon of ICT awards, reports ITRealms. The latest awards saw Rack Centre going home with the prize of the ‘IT Infrastructure Provider of the Year (Data Centre)’ category, and the second year running, winner of the ‘ICT Infrastructure Provider of the Year’. ITRealms also reports that the Managing Director, Rack Centre, Mr Ayotunde Coker in 2016 won the ICT Personality of the Year and delivered the year’s Distinguished Lecture on the subject “Data Centre as Kiln of Industrialisation and Transformation”. The Beacon of ICT award recognises organisation and individual contribution to the development of ICT in Nigeria, is an annual event organised by Nigeria’s Communications Week, the country’s leading and respected information and communication technology news medium. Reacting to the development, Mr Coker, expressed Rack Centre delight to have been selected as finalist by the judges, and to have then been voted by the public and IT community for such recognition and prestigious awards. “We are grateful and humbled. We are doing our best to bring world class infrastructure to underpin technology developments in Nigeria and the African continent,” he said. ITRealms recalls that Rack Centre, is the state-of-the-art, Tier III certified carrier neutral datacentre offering IT colocation and Cloud services. It is the most connected Tier III certified and carrier neutral data centre in Africa with all major Telco’s, carriers and Internet Service Providers (ISPs) in the country connected in situ and direct connection to all undersea cables serving the Atlantic Coast of Africa. Its Cloud on Ground services offers a locally hosted cloud heterogenous marketplace. Colocating within Rack Centre allows companies to avoid fixed infrastructure investments and to leave the growing complexity of managing power and environmental issues to specialists, while enjoying unrivalled reliability and quality. Tier III certification by Uptime Institute, the global body is the stamp of certified quality and reliability. The Business Education Examinations Council (BEEC) has commended the Nigerian Communications Commission (NCC) on the recent platinum rating the regulatory body received from the Bureau of Public Service Reforms (BPRS). 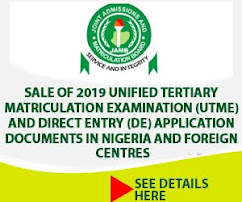 In a letter signed by its president, Mike Okereke, the council, however, attributed the success to the leadership style of the commission’s Executive Vice Chairman and Chief Executive Officer, Prof Umar Garba Danbatta. “This is indeed a well-deserved honour and a confirmation that your hard work and innovation in the management of NCC have paid off. We are confident that the Nigerian Communications Commission will continue to break new grounds under your able and dynamic leadership,” the letter pointed out. BPSR recently said that very strong business organizational structure, policies and practices that facilitate effective and efficient service delivery were some of the high points it considered before naming the NCC tops in institutional work processes in the country. Director General of BPSR, Dr. Joe Abah who presented the report and plaque to Prof. Danbatta, also listed accountabilities and responsibilities for set Standardized Operating Procedure (SOP) manuals of the Commission’s 19 departments as other areas critically considered by the bureau before arriving at conclusion. NCC under Prof Danbatta’s leadership has, in the last two, dominated international and local awards in the telecommunication sector it regulates years. 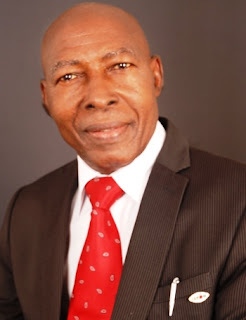 The Professional Excellence Foundation of Nigeria in line with its mandate of recognizing professionals who have excelled in their chosen fields, have chosen on merit Osita Chidoka, the Ike Obosi, for the distinguished fellow award, reports ITRealms. Chidoka apart from serving as the Minister of Aviation in the last regime in Nigeria, was also the Corps Marshal of the Federal Road Safety Corps, where he transformed the agency to an award winning organisation. In the process, the FRSC won various international awards and became, according to the World Bank, a model for other road safety organisations across Africa. These were some of the achievements that earned Chidoka the Distinguished Fellow Award. Chidoka obtained a Bachelor of Science Degree in Management from the University of Nigeria, Nsukka and a Masters of Public Policy degree from the prestigious School of Public Policy at George Mason University in the United States of America. He has a Certificate in Global Strategy and Political Economy from Oxford University, UK and a Graduate Diploma in Maritime and Ports Management from the National University of Singapore. The induction of Chidoka will take place at The Hotel Victoria Palace, Victoria Island, Lagos on Thursday (April 27, 2017). PEFON, a non-profit and a Non-Governmental Organization, was established primarily to mitigate the dire shortage in the supply of professionally qualified and competent manpower for the various sectors of Nigerian economy. The Foundation was an initiative of Dr. Dipo Bailey and it is an off shoot of Bailey Professional Training and Development Center, which was established in 1998. The Foundation is governed by a Board of Trustees made up of distinguished professionals, including Engr. Edet Amana, Alhaji Mohammed Hayatudeen, Akinbayo Adenubi and Dr. Stella Okoli. The Board is headed by Prince Julius Adelusi Adeluyi. PEFON's major strength as a Foundation lies in its Board of Trustees, the Council and Distinguished fellows who are accomplished industrialists, technocrats, qualified professionals in diverse areas, present and past presidents of professional institutes and other core professionals who have excelled in private and public administration and who have distinguished themselves in various fields within and outside Nigeria. These distinguished professionals under the umbrella of PEFON periodically organize fora to deliberate on policies for promoting development of Nigeria economically and industrially. After a stellar and award-winning public career, Chidoka joined Mobil Producing Nigeria, a subsidiary of Exxon Mobil Corporation, as a Senior Adviser on Government and Business Relations. It was in this role, in 2007, that the then President of Nigeria, Chief Olusegun Obasanjo, sought him out and appointed him as the Corps Marshal and Chief Executive of the Federal Road Safety Corps. His leadership of the FRSC led to the transformation of the Commission to a functional Lead Agency in Road Traffic Administration and Safety Management in the country, driven by information and communication technology. His visionary leadership and pursuit of global standard at FRSC led to the certification of the Commission by the Standards Organization of Nigeria, which conferred the Quality Management System Certificate (ISO 9001:2008 Certification) on the Commission on April 15, 2013. 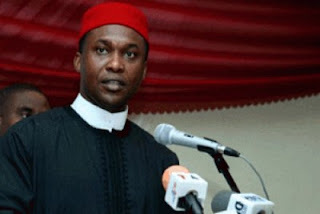 In recognition of Chidoka’s enormous contributions to national and community development, he was invested with the traditional title of Ike-Obosi (Strength of Obosi) and a member of Ndi-Ichie, the highest decision making body of Obosi Traditional Council of Anambra State in May, 2009. He bagged the Chartered Institute of Taxation of Nigeria Merit Award on November 27, 2010, and the Institute of Logistics Management of Nigeria Fellowship Award in July 2011. He was conferred with the Distinguished Alumnus Award for Good Governance and Model on Road Safety by the Faculty of Social Sciences, University of Nigeria, Nsukka on November 12, 2011. And in recognition of his patriotic disposition to his fatherland, former President, Dr. Goodluck Ebele Jonathan, on November 14, 2011 conferred him with Nigeria’s national honour of Officer of the Federal Republic. 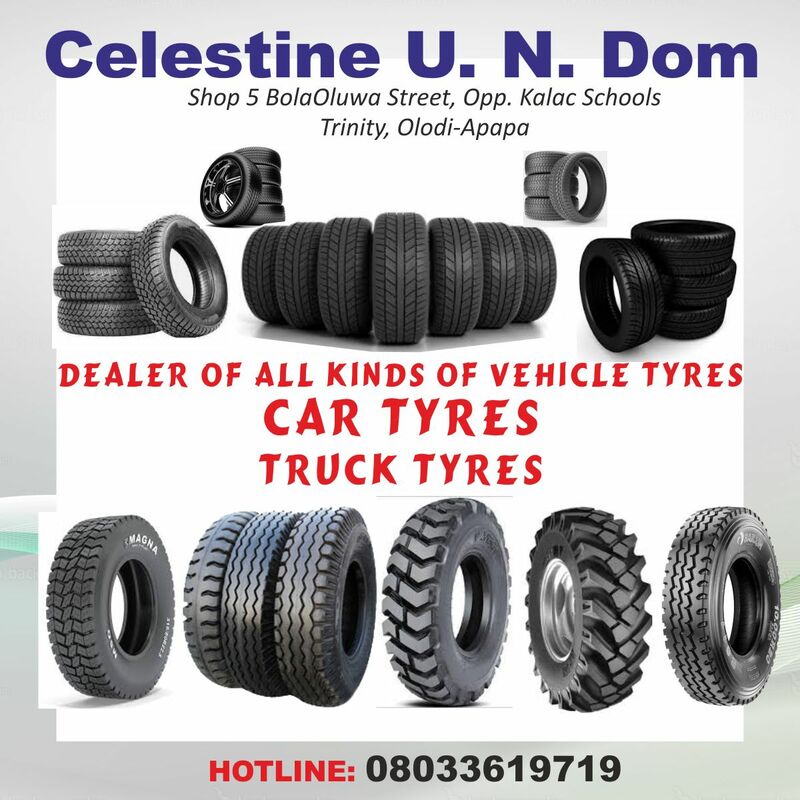 He won the Sun and Hallmark Newspapers Public Servant of the Year 2012 awards and under him, the FRSC won Leadership Newspapers Government Agency of the year 2012 award. Chidoka was born on July 18, 1971. The former President, Institute of Software Practitioners of Nigeria (ISPON), Mr. Chris Uwaje, has declared that Yudala is a company to watch, reports ITRealms. Uwaje who made this assertion while interacting with young technology students said that e-commerce company Yudala has the potential of breaking the boundaries of the Nigerian Stock market in the next few years, given its strategic positioning and futuristic combination of online and offline in the Nigerian e-commerce industry. According to Uwaje, the remarkable achievements and disruptions by Yudala, a fledging start-up launched at a time the Nigerian economy entered the current recession, makes it a company to look out for in the business space. “Yudala’s achievements should instruct you to anticipate a golden future for your tech-savvy generation. It is important you think outside the box and innovate like the founders of Yudala have done. “Today, the centre of gravity of the digital knowledge domain resides in understanding the chemistry of IT and Software Development Ecosystem. Humanity today, lives in a 'Software-first' world, where innovation, bold and disruptive creativity have become the centre of gravity of life and significance of human existence where over 3.6 billion people are connected to the Internet, making e-Commerce the ultimate game-changer. “For example, the Internet of Things (IoT) is projected to connect about 50 billion devices by 2020 at an estimated market value of about $19 trillion USD. In my professional evaluation, this represents the most constructive, disruptive, and strategic pathway to Africa’s future. A future dictated by technological know-how and where Nigeria must take the lead and protect her survivability. Our future resides in the mastery, application and sustainable control of our intellectual capital. This is why Yudala has become the most creative and potent milestone in the innovation landscape and a company for major case study in 21st century. “I encourage you to increase your passion for the technology sector and fuel your hunger to achieve because technology leaders are global citizens. A company like Yudala is essentially a technology company founded on a strong technology backbone, sound human capital and a clear duplex retail roadmap. The company’s impressive strategies and sustained market relevance even where others have failed, is a pride to the nation and I would not be surprised if the company becomes the biggest company on the Stock Exchange in the nearest future. Taking the students down memory lane, Dr. Uwaje, a former President of the Information Technology Association of Nigeria (ITAN) and distinguished Fellow of the Nigeria Computer Society (NCS), recounted the impacts of notable personalities whose actions helped shape the developments in the Nigerian technology industry. Charging them to study the Yudala strategy, he noted that today’s youth are better placed to surpass the achievements of the older generation. “When you consider the trajectory of the Nigerian technology sector; our generation started small as we did not have the kind of exposure you have today. People like myself, Chief Don Etiebet and Leo Stan Ekeh, among others, did our best to lay the foundation but your generation is better placed to achieve so much more within a shorter period. You have the tools, access to knowledge and required exposure. 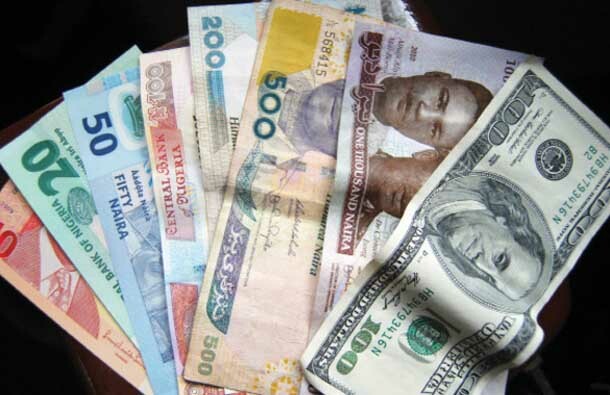 Speaking further, Uwaje called on the Federal Government to see reasons for it to throw its weight behind sterling start-ups in the technology sector such as Yudala in line with the huge potential of the sector as a major employer of labour. “The problem is for the Government to realize the importance of the ICT sector as a mass employer of labour and support the growth of companies in the sector. “The current economic recession has taken a huge toll on businesses, with many of them having no choice than to embark on staff cuts or retrenchment. 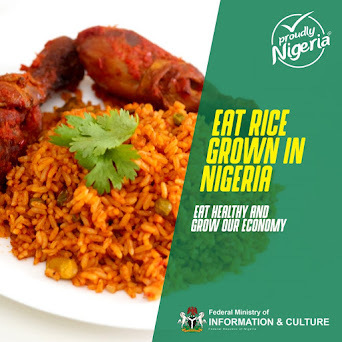 Many companies in the ICT sector have helped to reduce the burden of many families as they not only employed a lot of Nigerians but also refrained from mass sacks throughout this period. “Companies such as these should get special concessions from the Government as a means of encouraging them to do more. These concessions could be in form of tax holidays or other waivers. This is one way of promoting the spirit of entrepreneurship in Nigeria as the success of a well-structured business holds positive signs for the growth of the Nigerian economy,” he concluded. 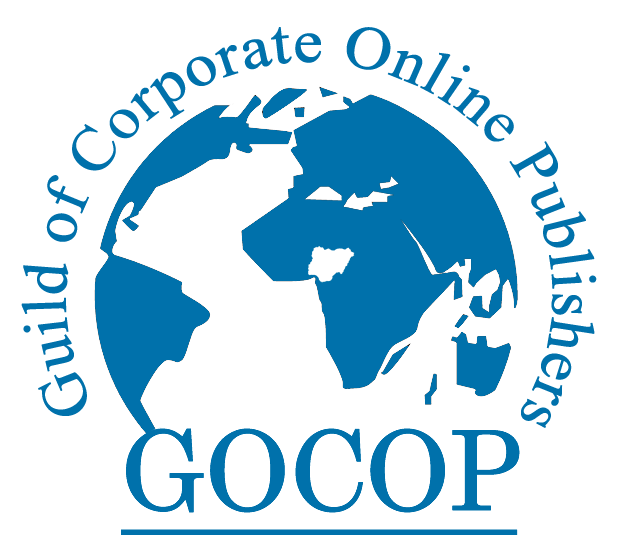 Having enjoyed centuries of monopoly, assured by the support of regulation, including through stringent requirements to new licensees, the erstwhile secured future of traditional banks is facing a heightened threat of disruption from Financial Technology companies (or FINTECHs), who are exploiting pent-up customer dissatisfaction and new technologies such as blockchain, coupled with the significant boost in smartphone adoption and pervasive broadband to disrupt the sector. The foundation of the Fintechs’ disruptive model lies in a peer-to-peer model for transactions, without any middleman or Central Authority in mind. A model that will possibly render the current establishment totally redundant and irrelevant. The biggest threat to the banks has been precisely their seeming success. Centuries of relatively significant higher returns, even in the midst of economic downturns that adversely affect the real sectors, has engendered an attitude of invincibility and pomposity, characterised by a loss of touch with their customers. Considered too big to fail, they take it for granted that they will be bailed out with taxpayers’ money in the event of any missteps – a perfect prey for disruption. 5. Customers - the weight and force of their new found voice. Typically, they clamour for whatever will give them convenience and lower costs. 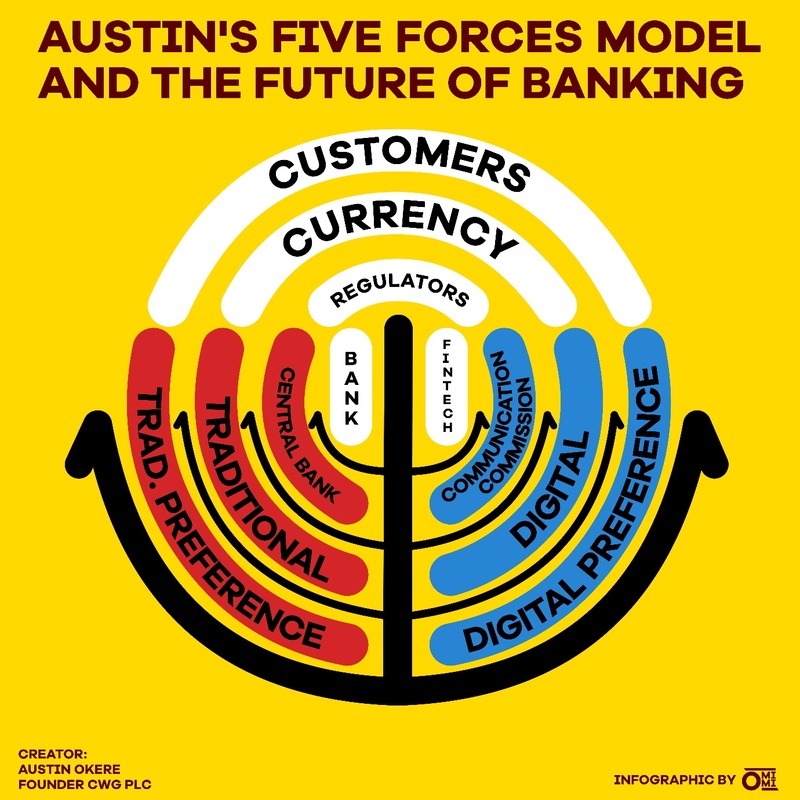 A schematic representation of Austin's five forces analysis of the future of banking. This will introduce a regulatory imbroglio, as future ‘Huge Banks’ may fall outside the regulatory ambit of Central Banks (as seems to be the case with the MPESA mobile money platform, through which 25million Kenyans transacted $28billion in 2015, representing about 44% of the country’s GDP. Safaricom, the telecoms promoter of MPESA ironically falls under the regulation of the Communications Authority of Kenya rather than the Kenyan Central Bank). A correct application of Austin’s five forces model will define the difference between whether you continue to be in business, or whether your business model will become irrelevant and redundant. 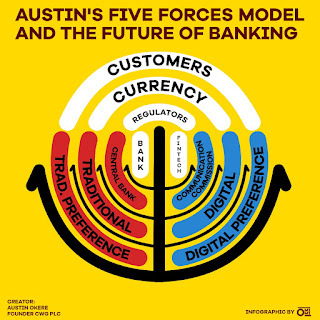 Even though I developed the Austin’s five forces model, primarily to analyse the direction of the future of banking, the model can also be used to analyse any industry which is susceptible to disruption from the pervasive blockchain technology; including Real Estate; e.g. EY’s Australian operations piloted a real estate blockchain ecosystem that is now being used in the market to trade full, and even fractional ownership of properties. And also Government; e.g. Ukraine has partnered with global technology company, the Bitfury Group to put a sweeping range of government data on a blockchain platform. Dubai also has an ambitious blockchain strategy to issue all government documents on blockchain by 2020. I will like to acknowledge due credits for this work to all blockchain enthusiasts, whose previous works have provided valuable insights, and also to my dear Son, Iheomimi Okere, who is quite artistically inclined, and has been able to correctly interpret my model in an aesthetic schematic. Nigeria with the population of over 180 million needs between 70,000 and 80,000 telecommunication base stations to actualize her dream of joining the club of countries working toward making Internet of Things (IoT) a reality by leveraging Forth Generation (4G) and Fifth Generation (5G) networks, reports ITRealms. The Internet of things (IoT), ITRealms reports, is the inter-networking of physical devices, vehicles (also referred to as "connected devices" and "smart devices"), buildings, and other items—embedded with electronics, software, sensors, actuators, and network connectivity that enable these objects to collect and exchange data, according to Wikipedia. Disclosing this at a sitting of the House Representatives’ Ad Hoc Committee investigating the health implications of mounting telecommunications masts close to building, in Abuja, the Executive Vice Chairman, Nigerian Communications Commission (NCC), Prof Umar Garba Danbatta, said the country currently has less than 50,000 base stations. “Therefore we will need from 70,000 to 80,000 base transceiver masts to be able to provide the effective capacity that’s needed to deploy 4G going to 5G,” he said while responding to questions from members of the ad hoc committee. He later called on other approving agencies at all levels of government in the country synergize with NCC a view to achieving the target, noting that the United Kingdom (UK), with a population of almost one third of Nigeria already has close to 60,000 masts. On concerns about health implications to exposure to electromagnetic field, Danbatta said researches so far conducted in the area have not indicated any adverse health concerns. “With regards to other professional bodies like Nigerian Society of Engineers (NSE) we don’t have any quarrel with their positions. The only question is when we say exposure to electromagnetic field is hazardous to health what level are we talking about? We have to define the level of exposure that is hazardous to human beings. “Of course if you generate a massive electromagnetic field of unprecedented proportion and put a person inside, there will be medical consequences. But what we are saying is that: provided the limit specified is observed and NCC is there to ensure compliance with that limit, there is no health hazard. There is a limit of safety below which electromagnetic fields do not cause any harm to health,” he declared. Paradigm Initiative, formally known as Paradigm Initiative Nigeria unveiled a new identity in line with its new aspirations and focus, reports ITRealms. 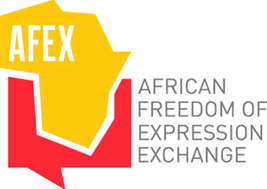 This is coming as the Internet Freedom Forum (IFF) 2017 kicked off in Lagos, Wednesday. Confirming this, the Executive Director, Paradigm Initiative ‘Gbenga Sesan said that although PIN is an indigenous social enterprise, registered corporately in Nigeria, and has programmes completely across several states in all geopolitical zones in Nigeria. “We currently operate out of 5 offices in Kano, Lagos, Abuja and Aba. The removal of ‘Nigeria’ from our name reflects the on-going expansion of our work to the rest of Africa,” he disclosed. Equally speaking, Paradigm Initiative’s Director of Programmes, Tope Ogundipe said, the new Pan-African focus means that Magoyi programme will be expanding to Anglophone West Africa, Francophone West Africa, Central Africa as well as East & Southern Africa. Kaspersky Lab has unveiled a partner programme on the continent of Africa, aimed at managed service providers (MSPs) that already offer security services or would like to add them to their current portfolio, reports ITRealms. The programme, ITRealms gathered would help MSPs to address the growing demand for IT security services and enables them to attract new customers in the Small and Medium Business (SMB) markets, while satisfying existing customers looking to outsource all IT functions, including security, to a trusted third-party. Also, First Distribution, operating across Africa, with offices in South Africa, Kenya and Nigeria, recently resolved to join the Kaspersky Lab’s programme, at their First for Cloud Roadshow in Johannesburg, South Africa, which was attended by over 100 partners, resellers and vendors. Managing Director, First Distribution, Debbie Abrahall, said that with Kaspersky Lab’s new programme they see great opportunities for resellers and MSPs. “We believe that with this, everybody in the market, including SMB clients, will benefit from the high-quality cybersecurity proposals that allow remote management and make IT security more affordable” Abrahall said. ITRealms reports that the specialised programme is designed for MSP partners that want to enhance and grow their reputation and expertise, achieve maximum margin at minimum risk, and ensure that their customers’ data and infrastructure are kept safe. Kaspersky Lab’s offering includes products and technologies that will enable MSP partners to provide new security services to their customers, such as remote security monitoring, managed security, virtualization security and mobile device security and management. Leading composite e-commerce company, Yudala joined forces with Africa’s most popular blogger, Linda Ikeji to empower thousands of female participants at the inaugural edition of Linda Ikeji’s Self Made Woman Conference held on Saturday April 22nd 2017 at the prestigious Oriental Hotel, Victoria Island, Lagos, reports ITRealms. From the professional anchoring of Forbes Africa Correspondent, Peace Hyde through a plethora of inspirational sessions delivered by notable female personalities including Kemi Adetiba, Omoni Oboli, Tara Durotoye, SP Dolapo Badmos, Folusho Badamosi, Dr. Ola Orekunrin and Linda Ikeji herself, it was an empowerment session par excellence’. In addition to providing a unique opportunity for participants to network with and learn first-hand from the facilitators, the well-attended event also provided a chance for many to submit their business proposals for funding. The entertainment fare was equally top-notch as singer, Seyi Shay and comediennes Lolo 1 and Mandy took turns to thrill the audience with electrifying performances. The event, which saw Linda Ikeji recount her thorny path to success, kicked off on a fitting note with a mentally-stimulating talk from Dr. Ola Orekunrin; medical doctor, helicopter pilot, healthcare entrepreneur and founder of Flying Doctors Nigeria, West Africa's first Air Ambulance. Encouraging participants to strive for financial independence, she urged them to take bold steps with the phrase – ‘Take It’ – and through which she doled out the sum of N200,000 to a participant, Nkechi Ejimkonye. Ejimkonye was the first to get to Dr. Ola when she raised an envelope and asked for a willing beneficiary to come for it. She was surprised to see almost all the participants still sitting and raising their hands while the beneficiary was among the few that stood to reach the speaker and eventually got the cash reward. Dr. Ola also announced her Double Initiative Scheme to empower women in financial need. Filmmaker and video director, Kemi Adetiba, on her part, shared 12 life principles that went a long way in helping her achieve success in her chosen field of endeavour. Among these 12 principles, participants were advised to always plan ahead, put dreams into action, excel in every given opportunity, avoid distractions, keep friends of like minds, be an inspiration and make their works speak to the world. 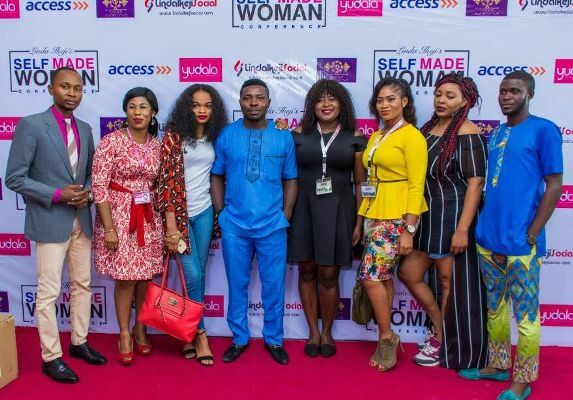 For another film maker and actress, Omoni Oboli for whom the event coincided with her birthday, her lucid recollection of her career experiences and struggles in life was her own way of motivating the audience. Urging the participants to treat people with love and respect, she counselled on the need to learn the nitty-gritty of a business or trade instead of the tricks of the trade. With a multimedia interlude from Yudala proving a useful side attraction, Head of Offline Retail, Oyeronke Atoyebi painted a glowing picture of the Yudala revolution, the company’s impressive business roadmap and wide-ranging product bouquet including its fashion category which caters to the taste and needs of many fashion-savvy females. The occasion also presented a unique opportunity for many attendees to learn more and take advantage of the on-going Yudala Triple Jara promotion which offers a free gift on every purchase, free delivery and the chance to buy and pay later with zero interest. 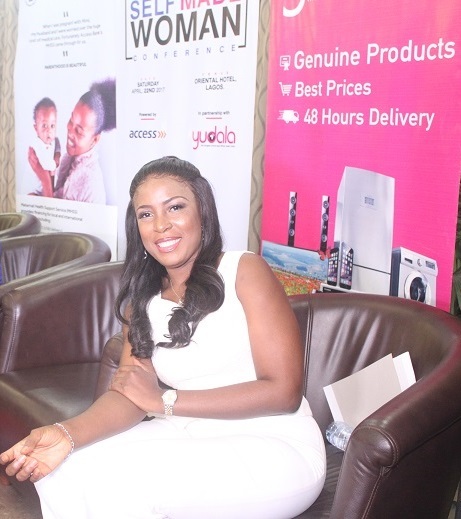 After a powerful presentation by Mrs. Folusho Gbadamosi titled ‘The Power of You’, Linda Ikeji revealed plans for the airing of Linda Ikeji TV on DSTV in a couple of months as well as a reality TV show in Ajegunle. She charged participants to choose God over man and always seek to maintain their dignity. 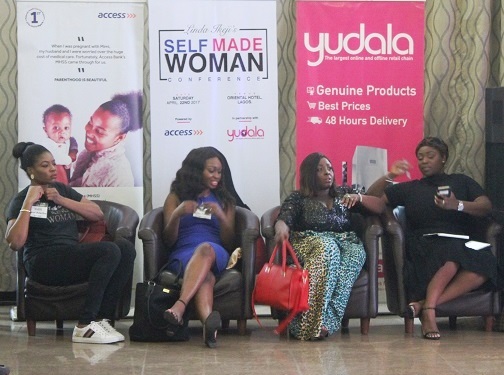 Linda gave credit to her mother who was also present at the event for seeing her and six other siblings through life in Mushin, noting that: “Life is not just about luxury but impact in the society and this is one of the steps I have taken in choosing to give N10 million to 15 ladies to run their various businesses." 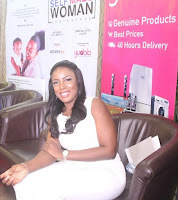 Make-up entrepreneur and pioneer, Mrs. Tara Durotoye was also on ground to inspire young ladies. Harping on the need to see art of make-up as a lucrative business venture, the beauty entrepreneur gave a simple illustration on the ABCDE of the life of a successful woman. (A-ccept, B-elieve, C-ompare Not, D-evelop, E-mpower). She advised ladies to marry well but not to see marriage as priority. Just like the Biblical wedding at Cana in Galilee where it seemed the best wine was reserved for the end of the event, Police Superintendent, Dolapo Badmos gave participants the complete dose of motivational tips in a superb presentation tagged "4 Ps to success". The PPRO of Zone A gave comprehensive and practical ways to achieve success through Purpose, Passion, Professionalism and Productivity. Her anecdote-filled presentation delivered with a huge dose of wit and hilarity had the participants roaring with laughter and surely left good memories in the minds of all gathered. 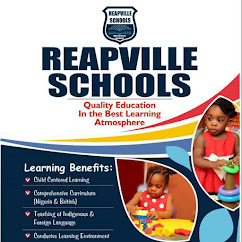 The event also had in attendance secondary school girls from Fountain Height School, Adelabu; Doregos Private Academy, Ipaja; Vivian Fowler Memorial School, Ikeja; Unique Heights, Magodo and Miketoy Schools, Alimosho. The Nigerian Communications Commission (NCC) and the Federal Inland Revenue Services (FIRS) recently set up a joint Revenue Quality Assurance Committee for the telecommunications sector, just as plans have been advanced for the inaugural meeting this week, reports ITRealms. This, ITRealms authoritatively gathered, formed the highpoint of the discussions between Executive Vice Chairman (EVC) of NCC, Prof. Umar Garba Danbatta and FIRS Chairman, Mr. Babatunde Fowler after a recent courtesy visit of Fowler to the NCC Headquarters. Confirming this to ITRealms, the Director, Public Affairs at NCC, Mr. Tony Ojobo, noted that specifically, the joint committee with four members each from the two organisations is to examine and suggest ways through which the level of transparency can be attained via technology in tax management for FIRS and the returns from Annual Operating Levy (AOL) for the NCC. He also said that the committee should see how staff matters including payments are addressed, just as to audit the states and proffer what benefits are accruable to them in terms of taxes collected. “It is expected to work out a recommendation to facilitate the Type Approval of telecommunications equipment that can be used for a transparent assessment of the operators revenues,” he said. ITRealms recalled that Prof. Danbatta had told his visitor during the visit that NCC has serious concerns over the shutting down of Base Transceiver Stations (BTS) in the States indiscriminately without recourse to the Commission. “This is worrisome as it undermines the capacity to provide telecom services, thereby denying consumers quality of services” he said. The EVC cited the Resolution of the National Economic Council on Multiple Taxation, Levies and Charges on ICT Infrastructure in Nigeria dated March 21, 2013 saying the document is very clear on the issues of multiple taxations, levies, Right of Ways (RoWs) among others. Danbatta pleaded with the FIRS Chairman “to help us propagate the provisions of the policy to the Joint Tax Board (JTB)”. The FIRS boss had earlier narrated his worries over the taxes being collected from MNOs in the States. Mr. Fowler said his concerns stem from the fact that MNOs do not remit the Value Added Tax (VAT) already charged as at when due, “while some decide when they will remit it but the law stipulates that such taxes must be remitted to the FIRS between 20/21 of each month. Some too have not fulfilled the annual returns”, he added. In an earlier working document sent to the Commission, the FIRS had requested the permission of NCC to connect its equipment to the MNOs networks for a direct interface to which Prof. Danbatta responded that such equipment must go through the Type Approval process. Danbatta however said that the NCC sees collaboration with the FIRS as a decision in the right direction. This underscores what Mr. President, Muhammadu Buhari said recently about the collaboration of inter-governmental agencies which saw to the timely completion of the Nnamdi Azikiwe International Airport, Abuja ahead of the time schedule. The Commonwealth Telecommunications Organisation (CTO) and the government of Samoa, have signed a Memorandum of Understanding (MoU) on the Commonwealth Broadband Forum (CBF) expected to hold in July 2017, reports ITRealms. The agreement was signed by the CTO Secretary-General, Mr. Shola Taylor and Honourable Afamasaga Rico Tupa’i, the Minister of Communication & Information Technology, Samoa. ITRealms gathered that the signing ceremony took place during the opening ceremony of the Commonwealth ICT Investment Forum in Dubai on 10 April. The Commonwealth Broadband Pacific Forum, ITRealms reports would take place on 25 – 27 July 2017 at the Tui Atua Tupua Tamasese Efi (“TATTE”) Convention Center, Apia, Samoa. The Commonwealth Broadband Pacific Forum will consider the possibilities for social and economic development by exploring the role of broadband in areas such as finance, education, health broadcasting, entrepreneurship and social inclusion. Previous events have taken place in Kenya, Nigeria and Malaysia with participation from policymakers, regulators, industry leaders and civil society from across the Commonwealth. “The Commonwealth Broadband Pacific Forum will enable Samoa to showcase our progress in connecting our citizens and enabling them to access the benefits of the Internet. It is also an opportunity for us to bring together colleagues from the Pacific to examine the particular challenges facing broadband in our region, and discuss with our peers from the international community the future for broadband development across the Commonwealth,” Afamasaga said.